These two collections have been published as volume 18 of the series Berber Studies, together with their respective original introductions and tables of content (see link below). For the present edition these collections have been translated into English. 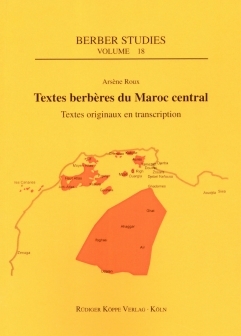 The subseries Textes berbères du Maroc central will be continued at irregular intervals.